Lil-O, my picky younger son, recently anointed me with a lofty title: “The Queen of Being Good at Chicken.” When I asked him why he felt I deserved such an honorific, he shrugged and told me that he loves my chicken dishes (like Cracklin’ Chicken, Damn Fine Chicken, and Vietnamese Lemongrass Chicken). Of course, he was quick to add a caveat: “No offense, mom, but Po-Po’s cooking is still a little better.” No offense taken—I’m fine with taking second place to my mom. 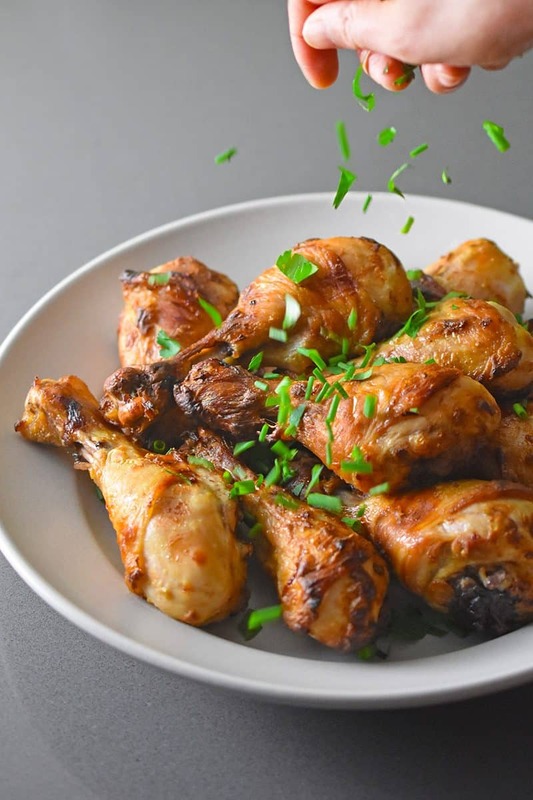 I’m not sure I’m the queen of anything, but we certainly do love roasted chicken here at Nom Nom Paleo World Headquarters as evidenced by all the poultry dishes in my Recipe Index. 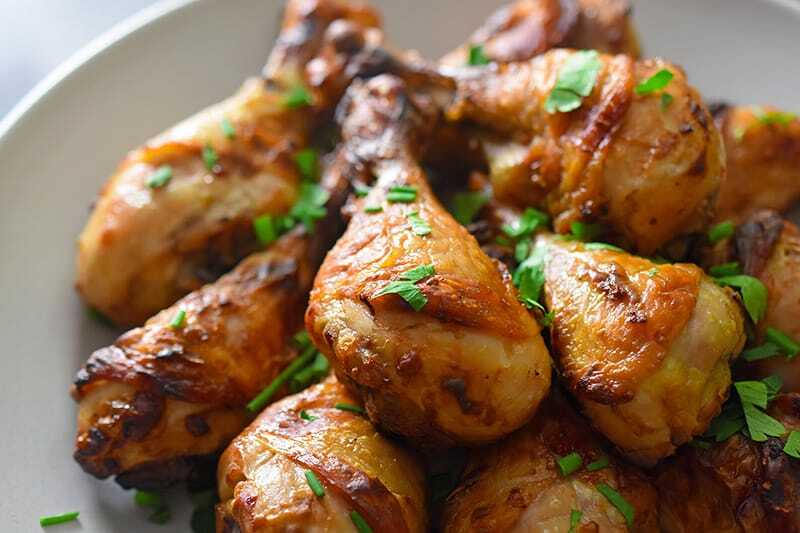 To keep my boys happy, I’m always trying to come up with flavor-packed chicken recipes that deliver the most bang for the buck. After a recent meal at a local French bistro, I was reminded that Dijon-style mustard makes for a fantastic marinade base for chicken. But can a restaurant-quality mustard-marinaded chicken be made simply, and at home? 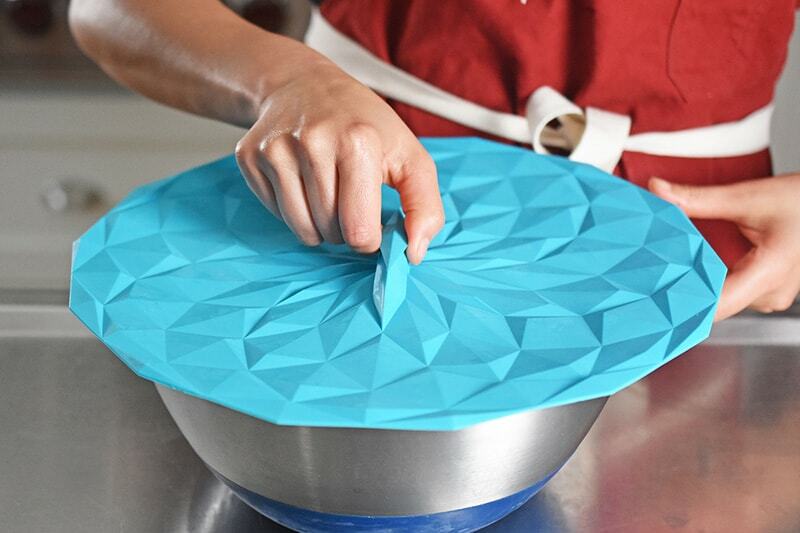 How minimalist could I make the recipe? After some experimentation, I came up with this 5-ingredient (not including salt) marinade, and it’s pretty much the bee’s knees. And after trying a bite, Lil-O confirmed that my new chicken-cooking royalty status remains safe. “For now,” he added ominously. 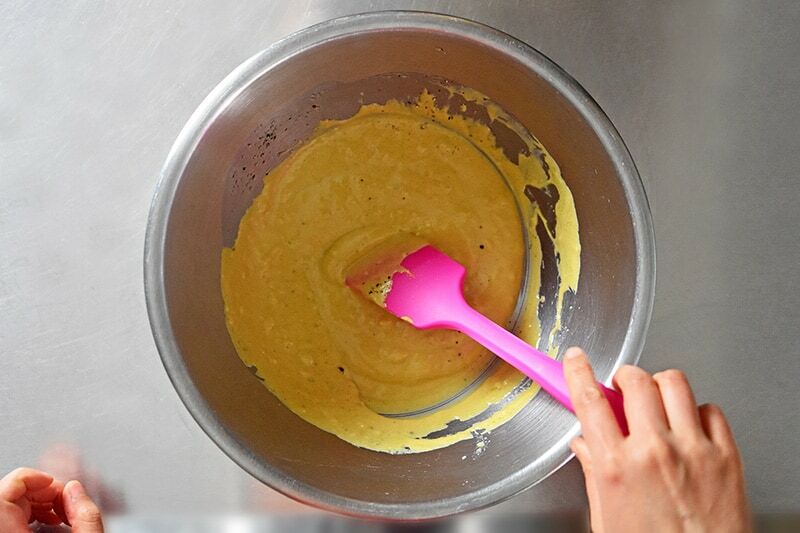 Combine the mustard, orange juice, olive oil, garlic, and salt in a large bowl. Remember: the amount of salt is subjective. Adjust the amount to taste! 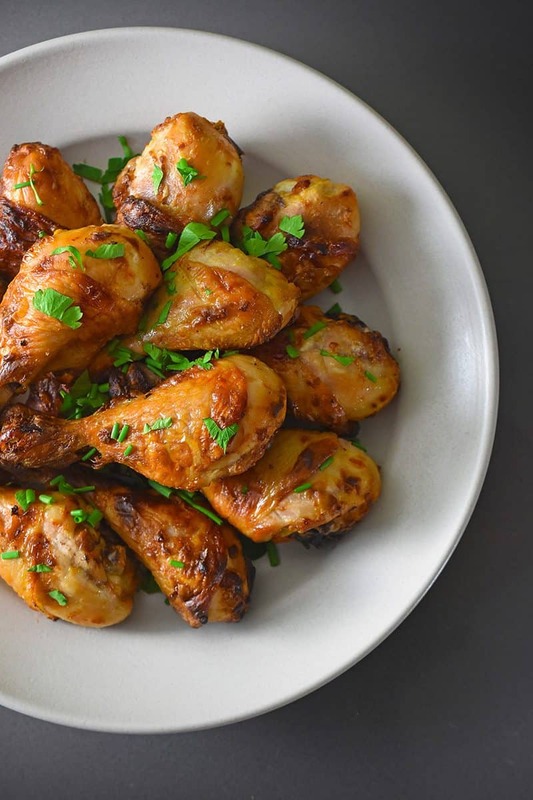 Personally, I recommend marinating the chicken in the morning, and cooking up the chicken in the evening—but the recipe works even if you have little or no time to marinate the bird legs. When you’re ready to roast the chicken, heat the oven to 425°F (or 400°F on convection mode) with the rack in the middle position. Definitely use the convection option if you’ve got it! The circulating hot air ensures even cooking and crispy skin. 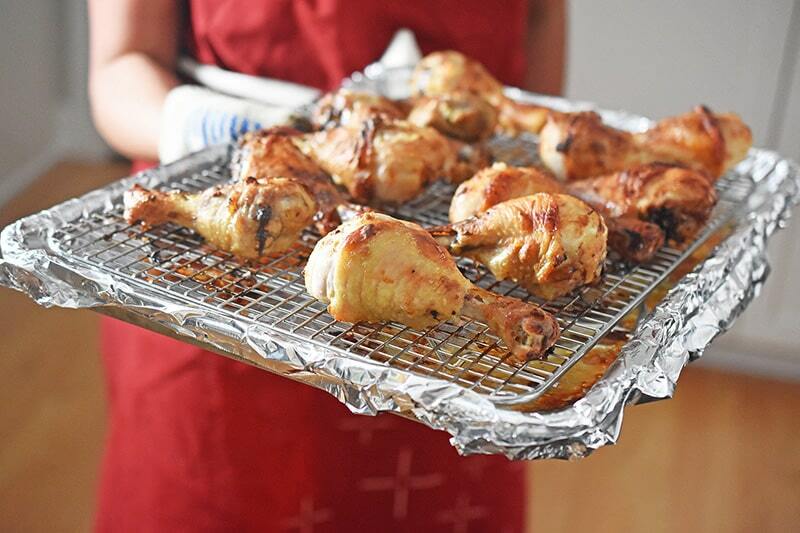 Line a rimmed baking sheet with aluminum foil and place a stainless steel wire rack on top. 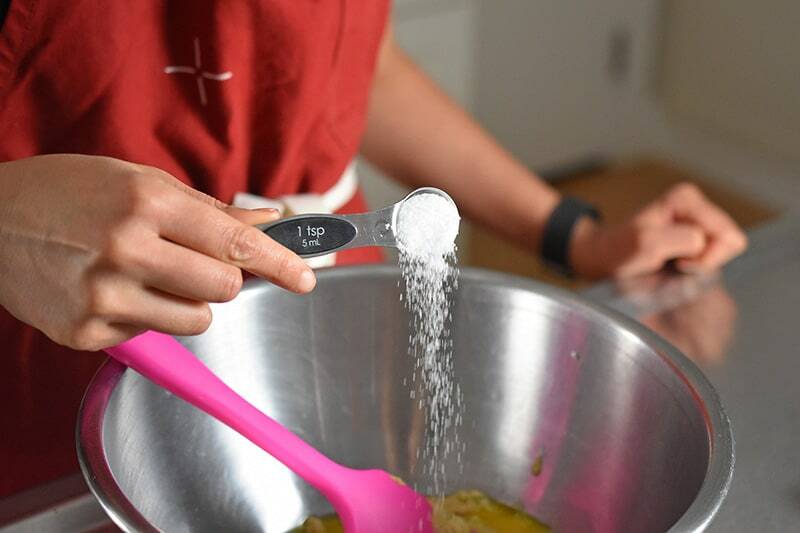 Gently shake off the excess marinade and lay the chicken drumsticks in a single layer on the wire rack. 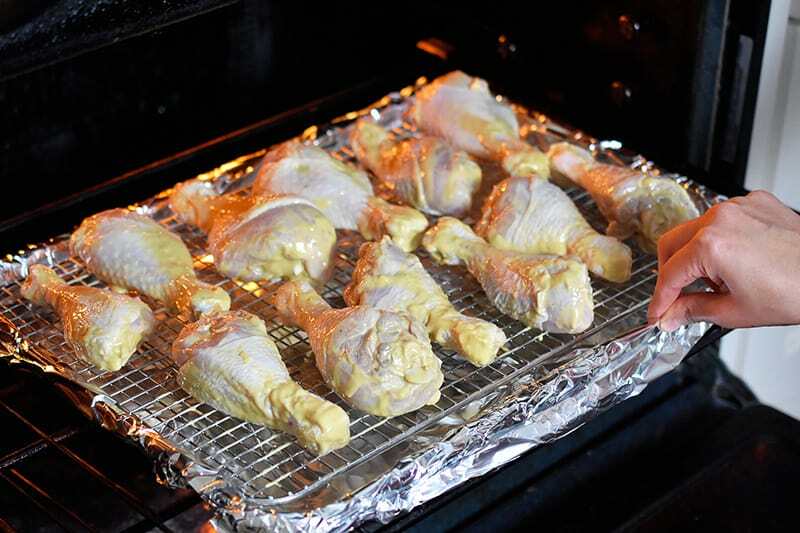 Roast in the oven for 20 minutes, and then flip the drumsticks over and rotate the tray 180 degrees. 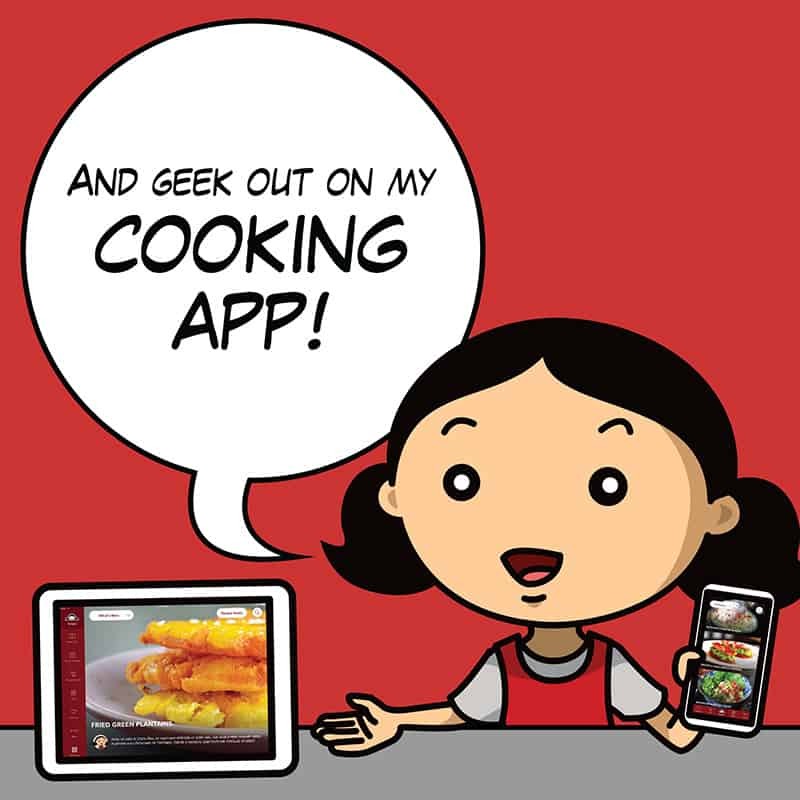 Continue cooking for 20 minutes or until the skin is browned and the meat is cooked through (registering 165°F for dark meat and 150°F for white meat on an instant-read thermometer). Feeling fancy? Roughly chop a handful of Italian parsley and/or chives, and sprinkle the herbs on top! This Whole30-friendly, 5-ingredient Orange Dijon roast chicken is perfect for weeknight family suppers because it's so simple and satisfying! 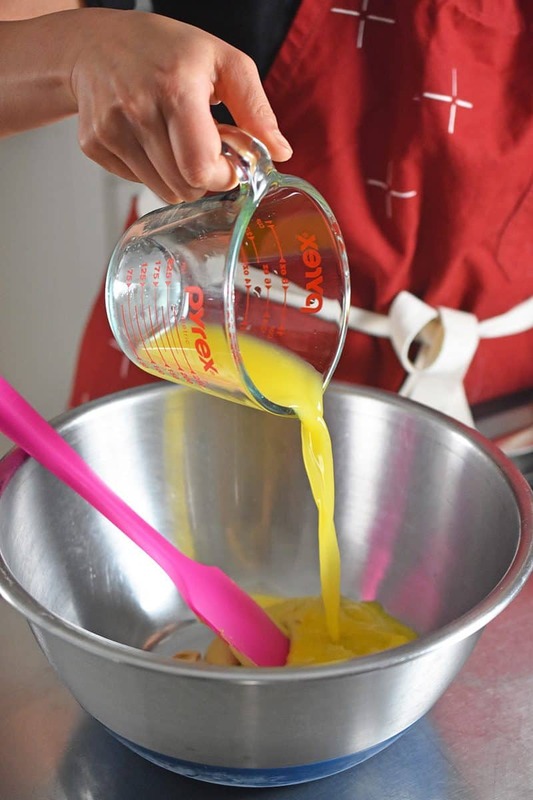 Combine the mustard, orange juice, olive oil, garlic, and salt in a large bowl. Mix well. 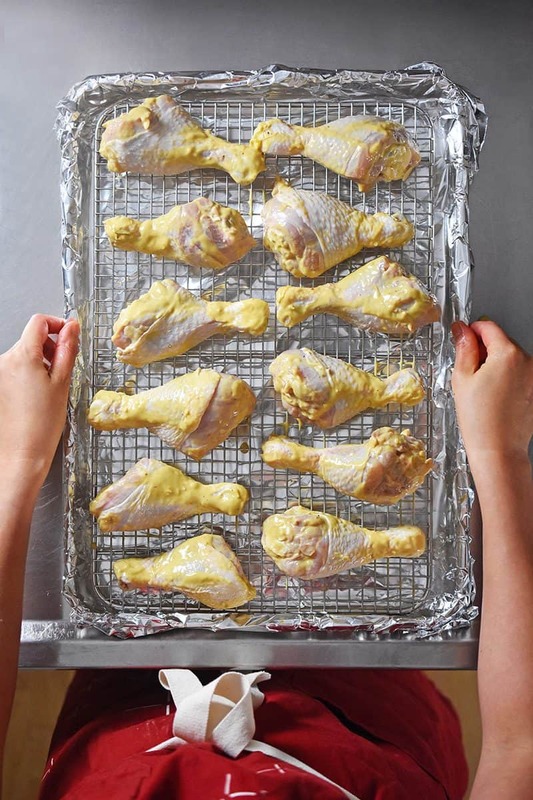 Roast in the oven for 20 minutes, and then flip the drumsticks over and rotate the tray 180 degrees. Continue cooking for 20 minutes or until the skin is browned and the meat is cooked through (registering 165°F for dark meat and 150°F for white meat on an instant-read thermometer). 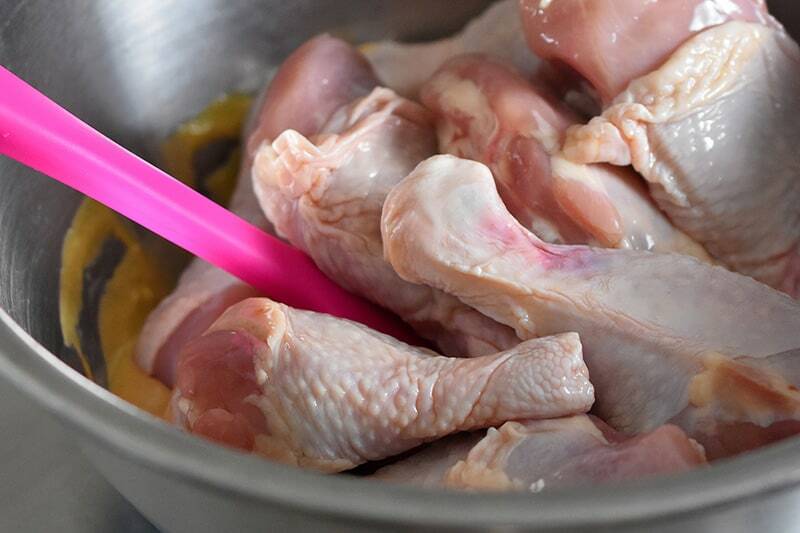 You can store the leftover chicken in a sealed container for up to 4 days or freeze for 3 months.